This is a guest post by fellow Mozillian Otto de Voogd. 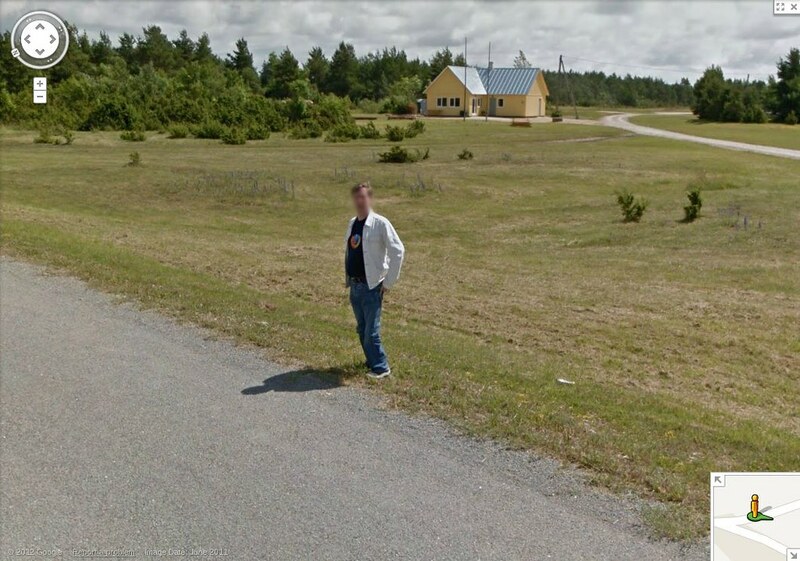 About a year ago, I happened to be on vacation on the island of Saaremaa in Estonia when Google Street View cars were busy recording the scenery. Knowing they were around the idea got stuck into my head to try to get recorded by a Street View car while wearing a Firefox T-shirt. The only problem was knowing where they’d be at what time. Luck came my way when a Google Street View car drove past the house where we where staying. I wasn’t outside, but I knew that road was a dead end, meaning they had to come back. Wearing a Firefox T-shirt I went outside and positioned myself on a piece of the main road where I thought they hadn’t been yet. After waiting nearly a year for Google to upload the images to Street View, we can now see the result: it worked! more or less. Apparently the Street View cars have passed over this section of road more than once after a all, as a result I now appear with my Firefox T-shirt in some of the shots but not on others. What would have been the best location didn’t show up, but the ones before and after did. Follow Otto on Twitter, Google+ and Facebook. Bitcoin refugee, open source enthusiast, and digital rights warrior.